With Roger Zogolovitch in studio during Making it Different collaboration, 2013. 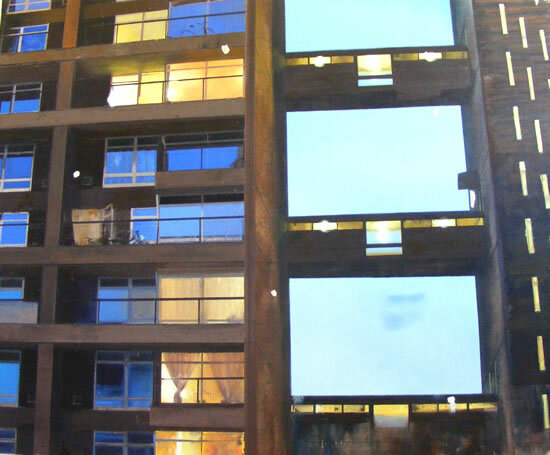 Modernist estates were, we are told, ‘alien’, irruptions into our homely, traditional streets, illegible and totalitarian edifices, ‘eyesores’ that are best pulled down. 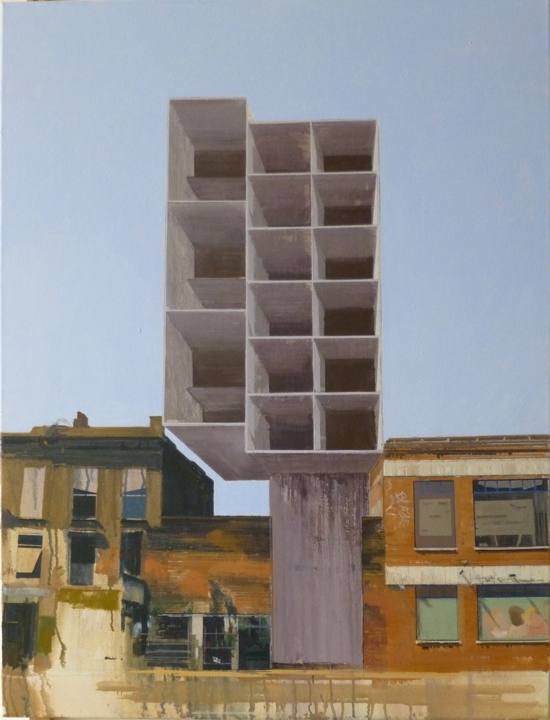 Peter Wylie’s paintings show something very different. 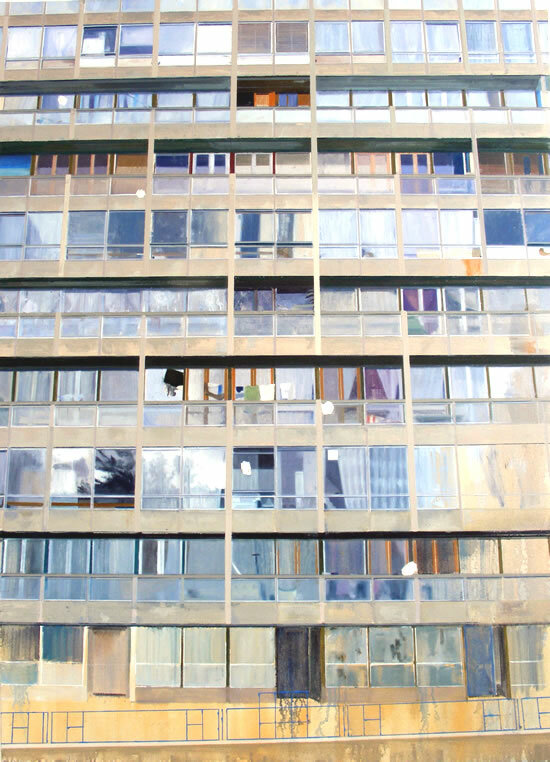 In his paintings of Erno Goldfinger’s Balfron Tower, the life going on inside the building is as obvious as the proud, stark exteriors. 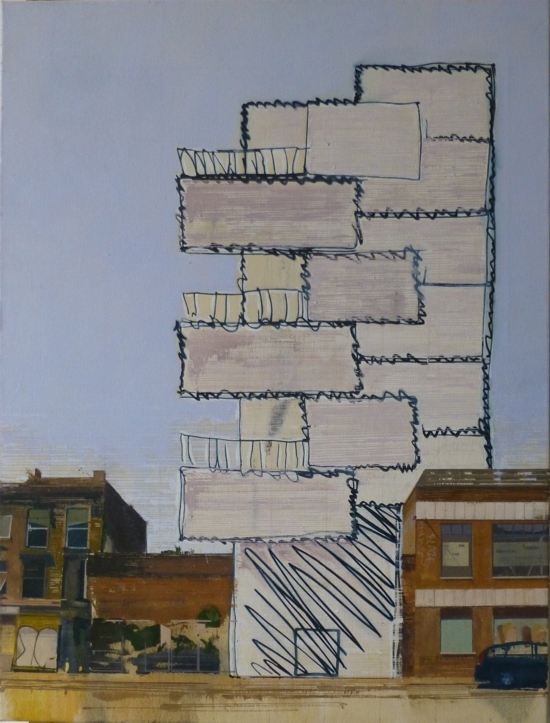 In these paintings, and so it’s implied, in the buildings too, everyday city life and a monumental modernism live together unassumingly. Owen Hatherley, writer and journalist.